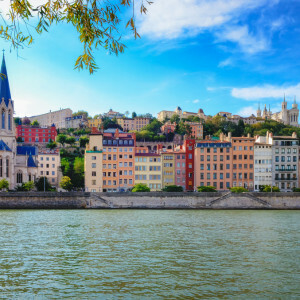 The third-largest city of France, Lyon has played a powerful role in shaping the region's history since its founding two thousand years ago as the Roman capital of Gaul. Located at a crossroads between the north of Europe and Italy, the city grew to be a rich center of trade and Christianity. Our half-day Lyon tour, led by a local historian, provides a thorough introduction to this western French city's abundant history and culture. 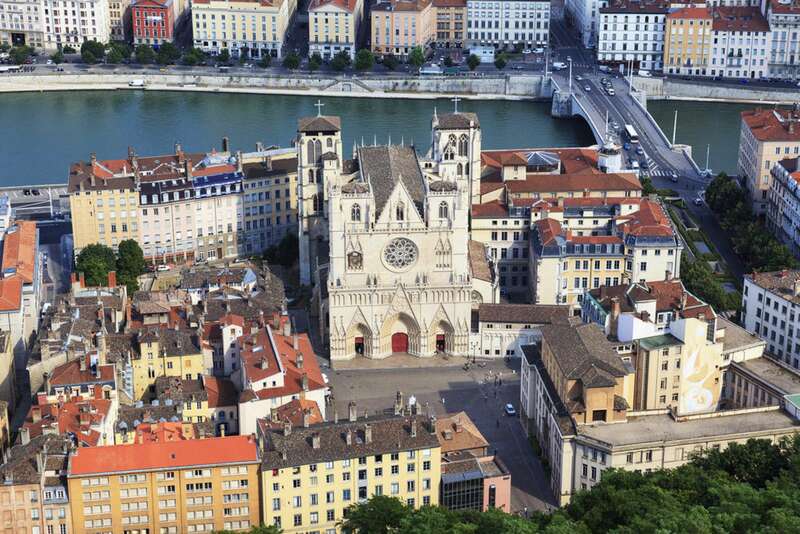 By orienting ourselves to some of Lyon's most important sites—like the Lyon Cathedral—we'll highlight evidence of the city's wealth and its taste for art and cuisine, visible everywhere in this proud city that is still quite untouched by mass tourism. "We decided to book your Lyon tour after we had had such a wonderful experience on your Gardens of Paris Tour. The Lyon tour was also excellent. Again, we had the very good fortune of a docent with an amazing history and architect background ... She was able to provide us with a wonderful overview of the rich and interesting history and architecture of Lyon. All four of us, again, very much enjoyed our tour." Our discovery of Lyon begins at Lyon's central Place Bellecour, one of the largest open squares in Europe and the city's kilometer 0. 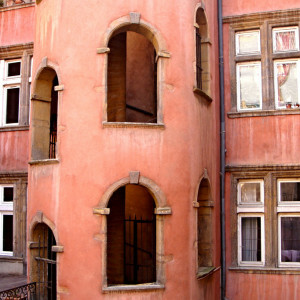 Our walk will continue in the most famous neighborhood of Lyon: Vieux-Lyon, the old city center. Strolling down its charming narrow cobble-stoned streets, through its traboules (local covered passageways), we will discover the area's history and its many hidden architectural treasures. The district is also known as the Saint-Jean area, as its centerpiece is the beautiful Saint-Jean Gothic Cathedral, a symbol of the religious power of the city. 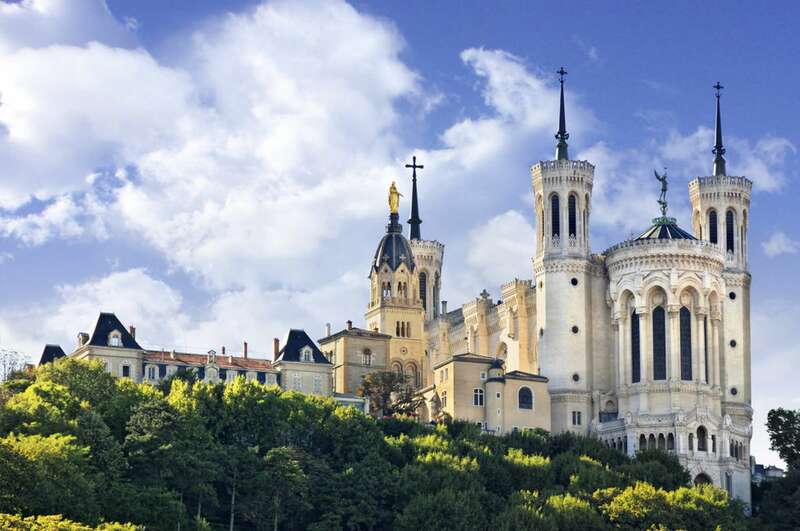 We will continue our exploration by climbing the Fourvière Hill. 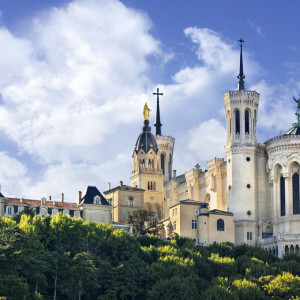 Another highlight of Lyon, the Fourvière Hill is dominated by the Basilica of Notre-Dame de Fourvière. From its heights, we will be able to have an exceptional view of the entire city, noting its expansion since Roman times. 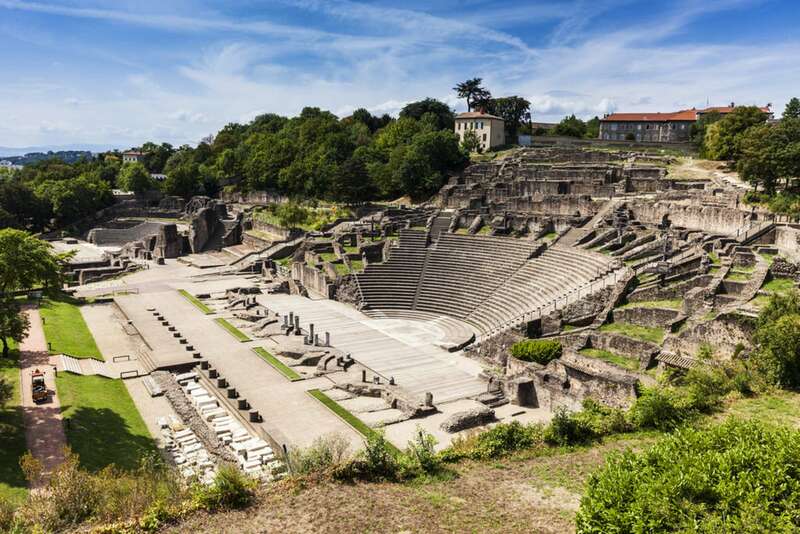 We will then travel back in time to Lugdunum, as Lyon was called during Antiquity, visiting the well-preserved Roman amphitheater and Odeon. 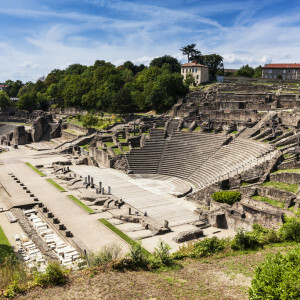 Selected as the Roman capital of Gaul, Lugdunum formed the gateway between the rest of the Roman Empire and northern cities like Lutetia. As we walk through these sites, we will learn about the organization of the Roman city and daily life in those times. 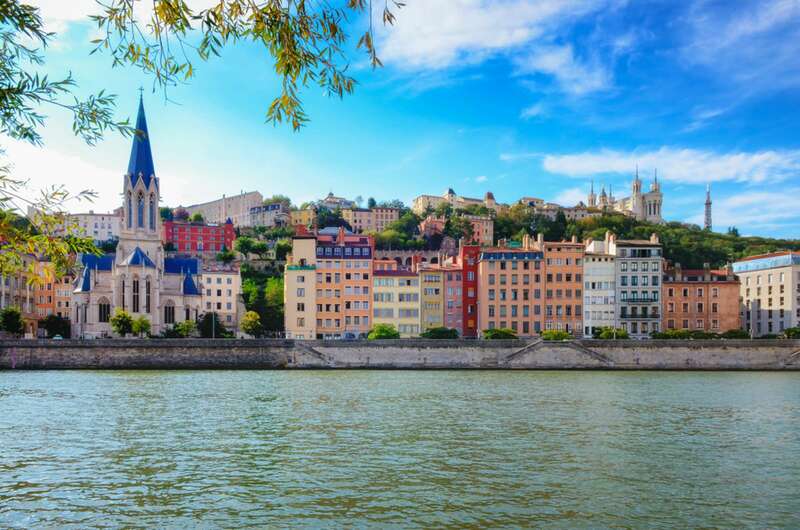 Strolling back down to Lyon's center, we will arrive in the district of Saint Georges, another old neighborhood with cobbled streets and colorful buildings along the Saône River. 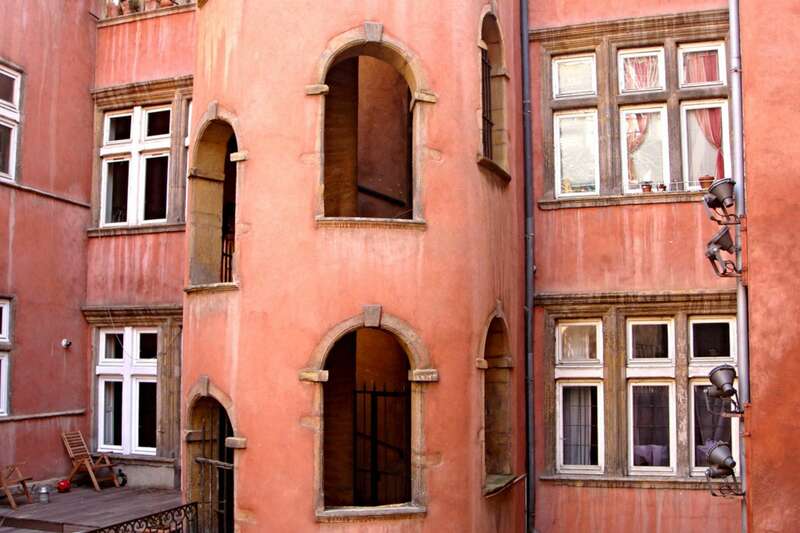 We will end our walk among the treasures of the Presqu’ile, the geographic center of Lyon, with its lively squares and elegant 19th century facades. As our time together comes to a close, we will have uncovered what makes Lyon such a gem: historical intricacies from its days as the former capital of Gaul and hidden charms, which won many parts of the city their designation as UNESCO World Heritage Sites in 1998. This is a half-day tour. Can you arrange full-day tours? Certainly! We are happy to arrange a full-day tour privately. An eight-hour tour starts at €670. Please contact us! I'm staying in Paris and would like to do this as a day-trip. Is this possible? This is possible, though it would be a rather long day, as Lyon is a little over two hours by train from Paris. Please contact us for more details about the logistics of such a trip; we are happy to offer advice and even facilitate the purchase of train tickets on your behalf. Please note that our docents are based in Lyon. I'm taking the train to Lyon the morning of my tour. Which train station should I arrive to? Perrache station is closest to our meeting point at a 10-15 minute walk. Part-Dieu station is a 15 minute taxi ride from our meeting point. Magali Clémençon is a native Lyonnaise. She has been a guide and lecturer since 2001, always sharing her knowledge of her city with enthusiasm. In 2013 she further enriched her degrees in tourism and in history of art at the Institute of Vine and Wine of the University of Burgundy. Curious by nature, she has traveled the world and is passionate about the history of civilizations, and about meeting people, speaking foreign languages and subjects of society. Particularly interested in WWII, she leads regular tours and gives lectures on this topic. She is currently working on a documentary on the Resistance. 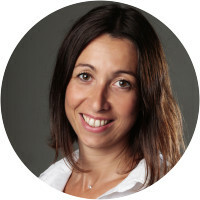 Originally from northern France, Claire came to Lyon 20 years ago to study languages and obtain her professional license to work as a guide. She found the city so magnificent that she decided to devote her life to revealing its secrets to visitors. 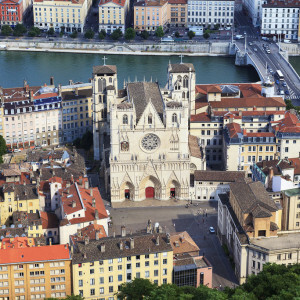 Claire loves to combine the discovery of architecture and cuisine—Lyon remains famous as the capital of gastronomy in France. She enjoys meeting people from around the globe and sharing her passion for art, history, and the French way of life. 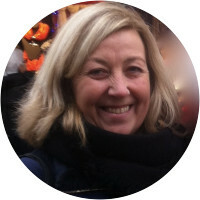 A native of Lyon, Marie-Claire holds a degree in english and art history with a specialty in renaissance architecture. 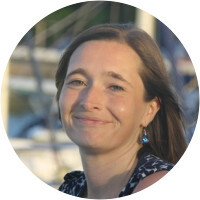 She has always been working in tourism and has been a professional guide-lecturer since 2007. After having lived in different countries in Europe, she came back to Lyon to share her knowledge and love for the culture and history of her native place. Perfect personal touch! thank you! Magali was an excellent guide. She is very knowledgeable and open to questions. We enjoyed our time with her and thought the tour was very worthwhile. The walk was great. It's long and covers a lot of ground, but Magali was very knowledgeable, kept it moving and had a great sense of humor. Wish we had time for another walk here.